My wife Cynthia and I want to wish you and your family a very Merry Christmas and Happy New Year! As I reflect on this past year, I am grateful for the successes in innovation and job creation in southern and eastern Kentucky. 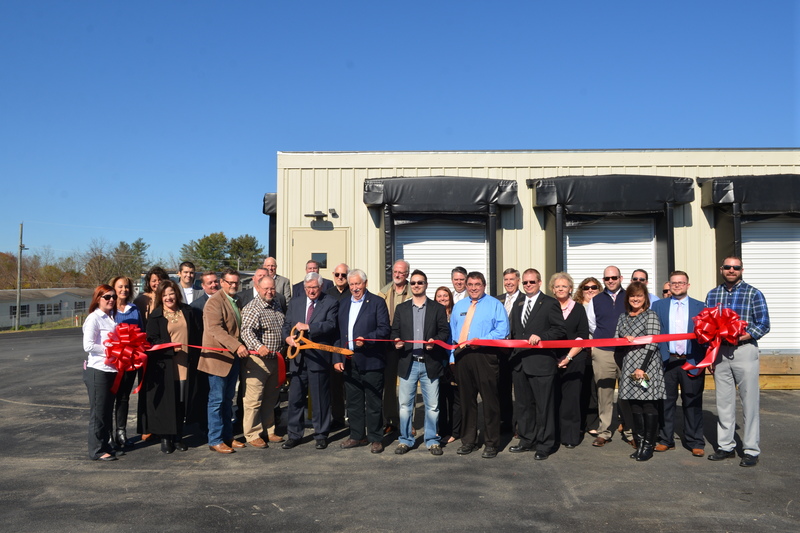 On Monday, I joined Kentucky Senate President Robert Stivers and local leaders in Clay County for a ribbon-cutting celebration for the new Dismas Charities Manchester Re-Entry Center. The new facility will create more than 20 new jobs and will give Eastern Kentuckians a second chance as they transition from the Manchester Federal Corrections Institute, back into productive members of society. The facility will open in February 2017. To apply for a position at Dismas Charities in Manchester, visit dismas.com. Click here to read more about the Manchester Re-Entry Center. Together, we celebrated the first five projects that have been awarded competitive grant funding in Kentucky through the Abandoned Mine Lands (AML) Pilot Project that I developed as Chairman of the House Appropriations Committee. The Appalachian Wildlife Center in Bell County was awarded $12.5 million and is expected to open in 2019. A $2.52 million grant will help launch an alternative energy manufacturing center in Harlan County. A $2.5 million grant will support a manufacturing training project by the eKentucky Advanced Manufacturing Institute, Inc. (eKAMI) in Johnson County. The City of Pikeville was awarded a $5 million grant for the new Marion Branch Industrial Park, which has been renamed the Kentucky Enterprise Park. Finally, a $500,000 grant was awarded for Impact Outdoor Adventures in Clay County for adventure tourism. I am optimistic that these projects will serve a dual function: cleaning up our abandoned mine lands while also fueling economic development and job creation. Just last month on the eve of Veterans Day, I was honored to help break ground on a new state-of-the-art VA Clinic in Somerset, doubling the size of the current facility. Local veterans will now have access to audiology, optometry and expanded physical therapy right here at home. Read more in the Somerset Commonwealth Journal. I also joined local officials for ribbon-cutting celebrations in London and Somerset last month. At the UPS hub in London, a new expansion will add approximately 50 new jobs. 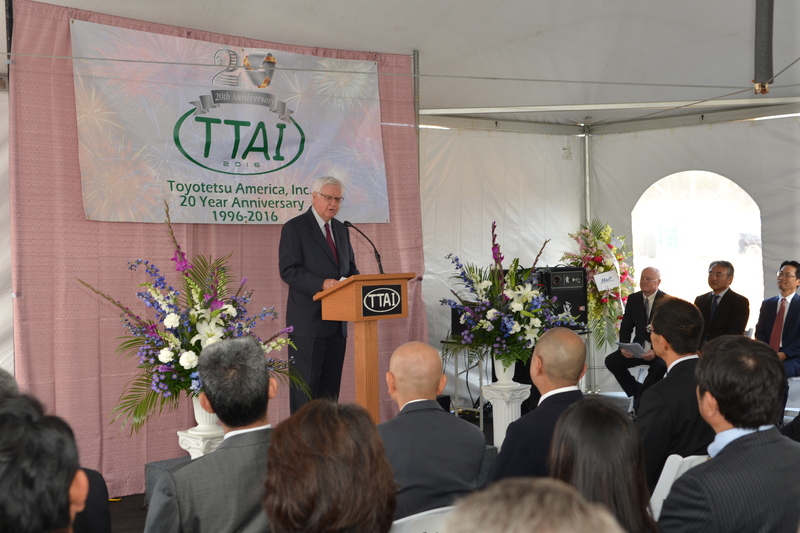 In Pulaski County, as part of TTAI's 20th Anniversary celebration, leaders announced a $62 million expansion that will create 100 new jobs. I'm incredibly proud of the continued work of SOAR - Shaping Our Appalachian Region. The Executive Board recently approved a Regional Blueprint for Economic Growth as we prepare for more opportunities and growth. In 2016 alone, SOAR partnered in projects that will generate and save nearly 1,500 jobs in southern and eastern Kentucky. Review the Blueprint here. The Center for Rural Development's 20th Anniversary celebration featured award-winning Bluegrass artist and Harlan native, Dale Ann Bradley. The Center has been the chief engineer for innovation and leadership in our region over the last two decades, and I look forward to what's in store in the near future. An adjoining new Courtyard by Marriott hotel will open early next year, allowing The Center to recruit larger conferences and events. During the 20th Anniversary celebration, I presented Difference Maker Awards to Allen Anderson and former board member Dr. Joe Fink for their dedicated service to our region, and specifically their investments in the youth programs at The Center for Rural Development. I also presented Lonnie Lawson, The Center's Executive Director, with an Innovative Leadership Award in recognition of his tireless efforts to bring broadband connectivity to southern and eastern Kentucky. Congratulations! As this Congressional term comes to an end, I want to share my deepest gratitude for your continued loyalty and confidence, selecting me to serve the people of southern and eastern Kentucky for a 19th term through 2018. We passed historic legislation this year to help fight the prescription drug abuse and heroin epidemic. The 21st Century Cures Act (CURES) authorizes $1 billion over the next two years for state grants to respond to the opioid abuse crisis. Meanwhile, the Comprehensive Addiction and Recover Act (CARA) is the most comprehensive opioid legislation that we have passed in 40 years, replicating Operation UNITE's holistic approach with law enforcement, treatment and education on the national level. Both bills were signed into law, and I am proud that my Committee provided the first $500 million in CURES funding before the end of the year. As Chairman of the Congressional Caucus on Prescription Drug Abuse, this has been a huge priority for me and I'm proud of the progress we've made. Earlier this month, I gave final remarks on the House floor as Chairman of the House Appropriations Committee. I'm incredibly proud of the committee's work over the last six years to return to regular order, improve transparency and cut wasteful spending. I'm particularly grateful for Will Smith, a native of Beattyville, Kentucky, who served as my staff director on the committee and former Chief of Staff of my personal staff for many years. I'm fortunate to have had him by my side and I wish him the very best in his future endeavors. Read more about my service as Chairman of the House Appropriations Committee. Again, from my family to yours, Merry Christmas and Happy New Year!